For years, most thought that suicide was not a serious problem in the African-American community. Indeed, overall, the total suicide rate for African-Americans is half the rate of whites. However, this low rate is misleading because the suicide rate for Black youth is rising rapidly. A 2015 study from Dr. Jeffrey Bridge of the Nationwide Children’s’ Hospital was one of the first to identify the disturbing new trend. Bridge’s work analyzed suicide rates for children ages 5 to 11. The results were dramatic: In the period studied, 1993 to 2012, the suicide rate for Black girls trended from 0.68 to 1.23 per million. In the same period, the suicide rate for white girls remained essentially the same — 0.24 per million. 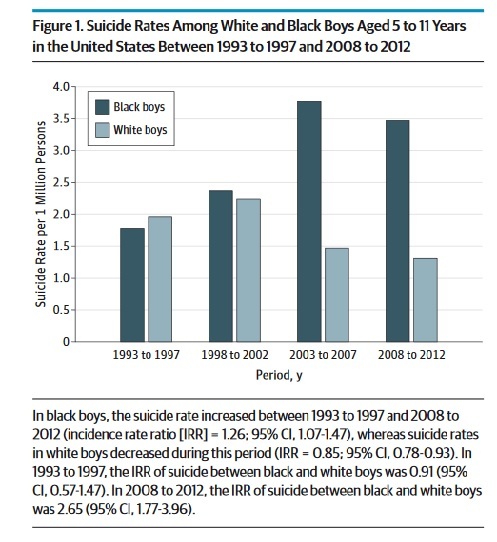 More disturbingly, while the report revealed a significant decrease in suicides for white boys during the relevant time frame, it found a steep increase in suicides among Black boys in the same period. 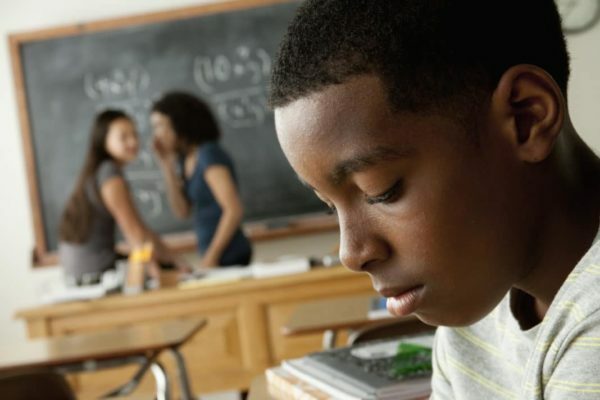 In 1993, Black boys had lower rates of suicide than their white peers. But by 2012 the suicide rate for Black boys had doubled. The study found that white boys committed suicide at a rate of 1.31 per million, compared to 3.47 per million for Black boys. What is happening? Why are Black children committing suicide? One issue that impacts the increase in suicide is race. Bridge’s work noted, “Black children may experience disproportionate exposure to violence and traumatic stress and aggressive school discipline. Black children are also more likely to experience an early onset of puberty, which increases the risk of suicide, most likely owing to the greater liability of depression and impulsive aggression.” However, Bridge was careful to note that it was unclear if these factors were directly related to the increase. Dr. Gene Brody, distinguished research professor of Human Development and Family Science at the University of Georgia, has also researched this issue. 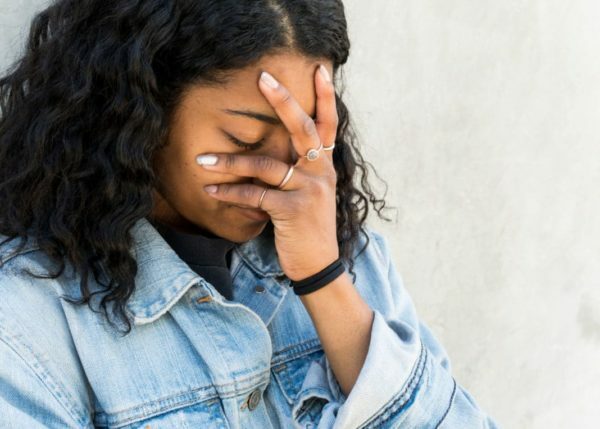 In a study co-written with colleagues, Dr. Brody found that perceived discrimination in late childhood and early adolescence could contribute to depressive symptoms in Black children. Additionally, he found that the risk for depression increased with an increase in family income. The study explained that higher income generally increases exposure to other racial groups, which also increases exposure to racial discrimination. Could racism be the underlying cause of this deadly trend? To get more insight into this issue, Atlanta Black Star reached out to several mental health experts. She continued, “As children get more sophisticated, and as boys grow to be young men, they understand that when they were little and cute, they got positive treatment, but once they start looking like adults, it activates stereotypes that the nation has about Black people. Robinson added, “Suicide is devastating, but also preventable.” Because suicide is preventable, Black parents and others who care about Black children must challenge every person and every entity that works with Black children to do better. Black children deserve to live in spaces that support, rather than damage, their developing minds. With work, change is possible.